No additional commentary provided. I'm afraid I'll say things I would later regret. You can read the full article here. We begin quickly with how we got here. The financial system collapsed in the fall of 2008 when real estate loans were held on bank balance sheets with no capital reserves to buffer against the possibility that home prices would fall or home owners would be unable to make the payments. Both happened, causing the banking system to become insolvent (their liabilities were greater than their assets), and the entire system froze after the collapse of Lehman Brothers. It was a historical moment in history. Governments decided that instead of letting the system cleanse itself of the toxic debt and try and back the good debt, they would nationalize everything and the toxic debt became one with the government debt. Central Banks around the world flooded with system with liquidity purchasing and backstopping trillions in toxic debt with printed money. 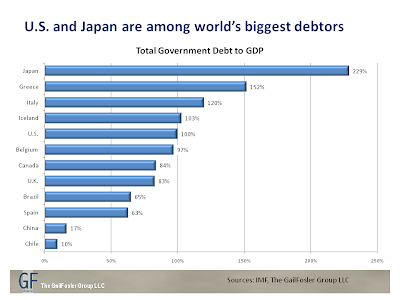 Then governments around the world unleashed massive stimulus programs creating new mountains of government debt to pile on top of the original government debt and new private toxic debt. Central banks continued to ease the burden by purchasing additional trillions in government debt and mortgage securities. In March of 2009, a major accounting rule (FASB 107) for US banks was changed, allowing banks to mark their assets at full price (mark to myth), instead of having to write their assets down when they fell in value. This was a landmark rule change that put a floor under bank shares and the stock market as a whole, and they took off to the upside with QE1 providing rocket fuel behind them. This also ensured that these banks would live on as “zombie banks,” a program used by Japan when their market crashed in 1990. With banks assets underwater, they were not able to lend to the market. How would we now finance mortgages, student loans, auto loans, and the necessary credit to keep our country growing? The US government through deficit spending. After these actions took place, all appeared to be well again. The stock market was roaring, economic indicators were soaring, consumer and business sentiment rose, and there was an overall calm back in the financial world. Then in the fall of 2009 a small city name Dubai announced that they were going to have to delay payment on their government debt. Essentially they were announcing default. While this was seen as a blip on the radar, to the astute market observer it rang the opening bell for the next round of the global financial crisis. The question is no longer if the European Union will face a debt crisis. This was still a debatable topic as we entered 2011. We now can see that investors have turned on the debt, which marks an important psychological moment for the markets. A piece of snow falls from the sky and lands on a mountainside. It triggers a few more pieces of snow to fall down the mountainside, they begin to gain speed, pick up other pieces of snow, and gain more speed. It reaches a tipping point when it has clearly become an avalanche and at that point it is far more difficult to contain or slow down than the point when it first began. The same theory applies to the collective psychology in our modern bond markets. The entire financial system is based on trust and confidence. 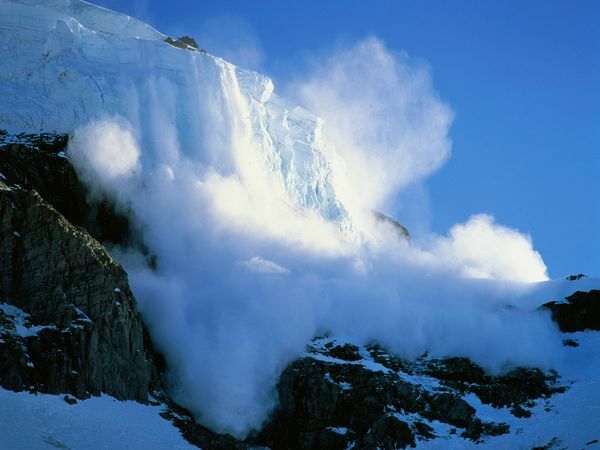 What looks like a calm snow bank can soon turn into an avalanche in just a few moments if trust is lost. 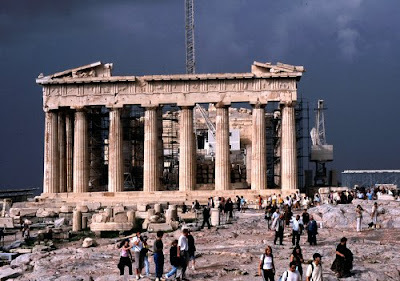 This can been seen repeatedly throughout market history (Latin debt crisis in 1980’s, Asian debt crisis in 1990’s, Long Term Capital Management in 1998, US subprime debt in 2007) but has most recently been applied to Greece, Portugal, and now Italy. Now that the avalanche is here and visible the question is: how does this now impact the important financial markets around the world. The butterfly has flapped its wings in Europe, so what will be the effect in a small town in China, or a small business in America? -When a country reached a total debt to GDP ratio of 90% or higher it became a prime target for a debt avalanche to occur. This last point is key because it is where we are today in Europe. When a country is forced to cut government spending their economy is going to slow down in the short term, especially if a large part of its GDP (economy) is currently funded through direct or related government spending. To help understand why, imagine that you currently spend $20,000 per year using after tax revenue from your job. For the last 10 years you also have spent $20,000 per year using credit card debt that you only make the monthly payment on. You now have $200,000 in credit card debt and the company has told you that you can no longer borrow money. What impact would this have on your personal living standards and lifestyle? Your economic “growth” would take a major hit. It would also impact the economy around you. If you spent $400 a week at a prestigious restaurant and could no longer go, their business would suffer. If you purchased $500 a month in expensive new clothes and now had to shop at Wal-Mart, the high end store would suffer. 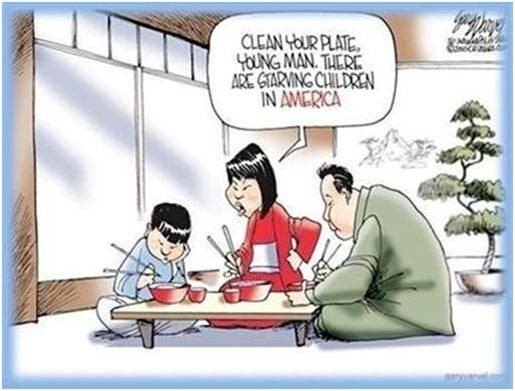 This exact scenario, although a very simple example, is what is taking place in Greece, Portugal, Spain, and Italy as their governments look for ways to cut spending where they did not need to look before. 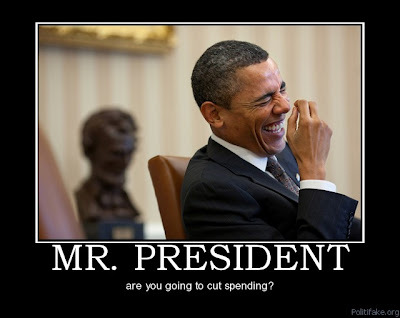 The country as a whole will slow down without the artificial boost it was receiving with enormous deficit spending. 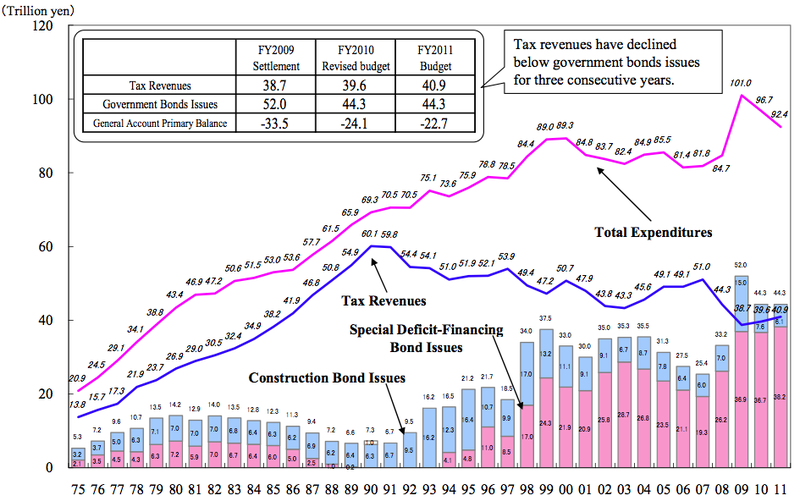 This slow down will reduce tax receipts, which will require even more spending cuts, creating a downward spiral effect. The three major pillars of the global economy are currently the United States, Europe, and China. 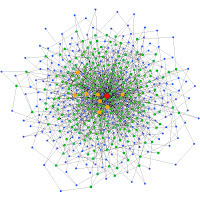 Many smaller and developing areas are tied in directly to these economies based on the interconnected nature of global trade and finance. While people pay very close attention to China’s exports to the United States, they only recently have taken notice of how dependent China is on exports into Europe. Many view China’s economy as a potential snow bank just waiting on the first trigger to ignite an avalanche. The reason is not a problem with their government balance sheet (they have run a large trade and balance sheet surplus for many years), it is due to their real estate market. China has pegged its currency to the United States to keep it artificially low which has provided a boost to their export market (specifically to the United States and Europe). However, when a government intervenes in the free market there are perverse side effects. Imagine a boat pulls up to China’s shores to collect goods that will be shipped back to the United States for consumption. The man on the American boat hands the Chinese exporter American dollars in exchange for the goods. The Chinese exporter then takes those dollars bank to his bank to deposit them. The Chinese bank then provides the Chinese exporter an equal dollar amount of money in yuan, their local currency. But where does the (large) supply of yuan come from to satisfy the demand of the large number of exporters that show up to the bank to collect the money? It is created (printed) by the Central Bank of China. The Central Bank stores the dollars as reserves and provides newly printed yuan in exchange. This has flooded the market with currency and has created high inflation in China. This is only one way dollars have entered the country; money can flow freely across borders in our global economy and investors and businesses have poured money into China buying real estate, stocks, businesses and bonds. In a normal environment this would cause the currency in that country to soar in value (high demand and limited supply), but the central bank has matched this demand with new supply to keep the currency peg in place. So what effect does this have on China? This flood of yuan needs to find a home for Chinese citizens to protect themselves from higher prices. A lion's share of the money has moved into the real estate sector. This caused prices to rise to astronomical levels creating an unimaginable price vs. income level. This, as we have seen first hand in America, has now created a housing bubble. In addition to the investment money pouring into the market, the government itself has doubled down on the bet and poured government funds into real estate development. Multiple “ghost cities” have even been constructed where hundreds of empty buildings now sit. Developers are now beginning to miss payments on borrowed money from the banks and many will soon walk away from these debt obligations. This will bring strain on their banking system. Estimates from fund managers who study the Chinese economy believe that somewhere between 20 – 75% of the entire economy is directly or indirectly related to real estate development. Only 6 – 10% is directly related to exports; the hot button that most analysts like to focus on. The Chinese real estate market has reached the point where prices are beginning to fall in many major cities. Falling prices will cause new investors to back away from the market and recent investors to become underwater on their loans (sound familiar?). Falling prices in the real estate market is the psychological trigger, the snowflake landing on the slope, that triggers the downward spiral that is extremely difficult to reverse. A Chinese slowdown of any kind has dramatic repercussions everywhere in the world. Commodity prices are impacted greatly by China’s insatiable appetite for growth (real estate growth). The Australian economy for example is heavily dependent on resource exports to China. If Europe slows significantly, slowing a major portion of China’s exports to that region, it will only magnify the pain on China’s real estate market, significantly slowing their overall economy. The butterfly has flapped its wings in Italy, and a snowflake may fall on the Chinese economy. 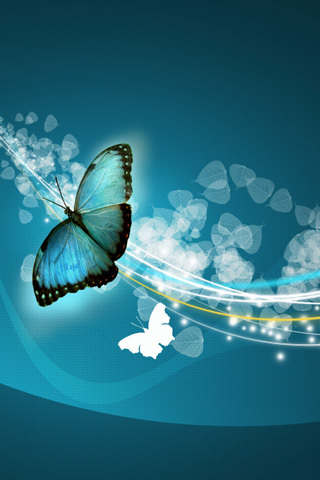 How else will this butterfly effect impact markets around the world? Let’s take a look at a very important mountain slope just waiting for that triggering snowflake. While stock markets around the world finished in the red, the DOW Jones (American stock index) finished the year positive. Investors believe that the US has and will continue to decouple from the problems facing the global economy. There are two main measures to look at when deciding on when to purchase stocks. The first is the fundamentals of a company such as earnings, profit, and future growth. The second is the sentiment toward the particular stock or the price that investors are willing to pay to gain access to future company earnings. The fundamentals of the US corporate world have been strong since the market bottomed in 2009. Companies have the ability to move fast when the macro-economic world changes around them. Companies began to slash their biggest expense when the financial crisis hit, employees, and they have not brought them back up to this point in the cyclical recovery. Employees are usually the first to go and the last to return during a market cycle. 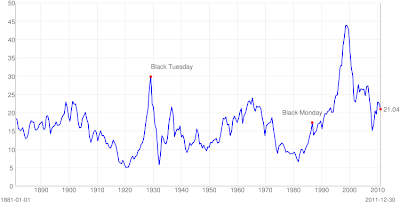 US Corporate profit margins are at one of the highest points in history as can be seen by the following graph. So far all appears to be well and the water looks warm, but this is only one half of the discussion. 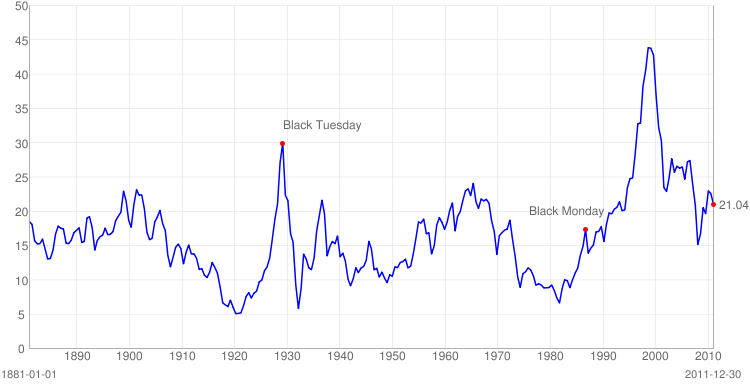 The graph below shows the long term P/E ratio for the S&P 500. The P/E ratio measures the Price and investor is willing to pay for a company's Earnings. A higher P/E means they will pay a higher price for earnings. At the beginning of a bull market sentiment is very low toward stocks. The P/E ratio is under 10, and investors don’t want to own stocks at any price because they "know" they are just going to go lower. Buying opportunities such as this come about at historic market bottoms, and it was last seen in the early 1980’s. When all the sellers have been flushed out of the market, everyone is now on one side of the boat. All it takes is just a few passengers to move toward the buyer's side and prices begin to move up. There are no more sellers on the selling side to continue to push prices down because they have already sold out of the market out of fear for lower prices. This is why sentiment is so important to understand. As you can see in the graph above, from 1982 – 2000, P/E ratio’s began to climb year after year as investors slowly moved from the selling side of the market to the buying side. As they saw prices go up, their confidence rose, and they were willing to pay more for future company earnings because they were confident that the underlying price of the stock would move higher. This viewed from a strictly rational sense is easily seen as the exact opposite approach an investor should take. However, it is the way market participants are psychologically wired to invest. For example, imagine a household begins 2012 by reviewing which funds they want to contribute in the coming year. 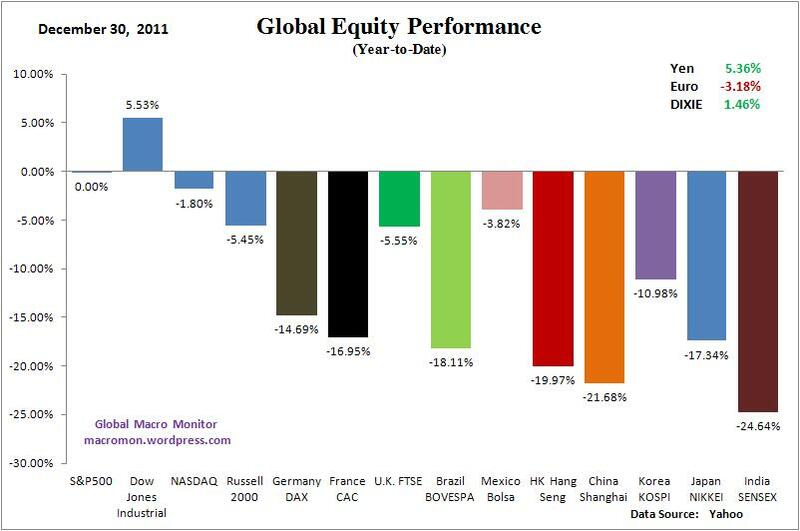 During 2011 Fund 1 is up 20%, Fund 2 is up 5%, and Fund 3 is down 10%. The average investor looks at these three funds and believes Fund 1 is a better option because of its recent performance. Of course, this has nothing to do with how it will or should perform in the coming year. All things being equal, the fact that it is up 20% means that it is far more expensive and thus dangerous than it was to start last year. This simple psychological component of the markets is what creates tremendous boom bust cycles and it is why the masses always get hurt the most during major market turns. They move in herds. It will always be this way. Of course, after providing you with all this psychological mumbo jumbo and earnings data, I'm sure you want to know where I believe the markets are going this week, this month, and where they will finish 2012. I understand, we’re almost there. Historically, a P/E ratio under 10 was considered a strong buying opportunity and a P/E ratio over 20 was considered a bubble or an extremely dangerous point to enter the market (see graph above). However, aside from a few months in 2009, the market has been above 20 (or extremely overvalued) since 1996, when Alan Greenspan gave his Irrational Exuberance speech. Markets have a way of working back to their historical mean. Investor sentiment has been slowly falling since the peak of the mania back in 2000. This can be seen most clearly by looking at what the average American investor does in terms of mutual fund allocation. Since the financial crisis hit in 2008, Americans have been pulling their money out of US Stock Mutual funds at an almost uninterrupted rate. During the entire run up from the market bottom in 2009, investors have essentially “lost faith” in the stock market and have pulled hundreds of billions of dollars out of the market and parked it into bonds. They have pulled from stock funds in 34 of the last 35 weeks. While looking at just the blue portion of the graph above, the money pouring out of the market, you would think that the market would be sitting at all time lows. 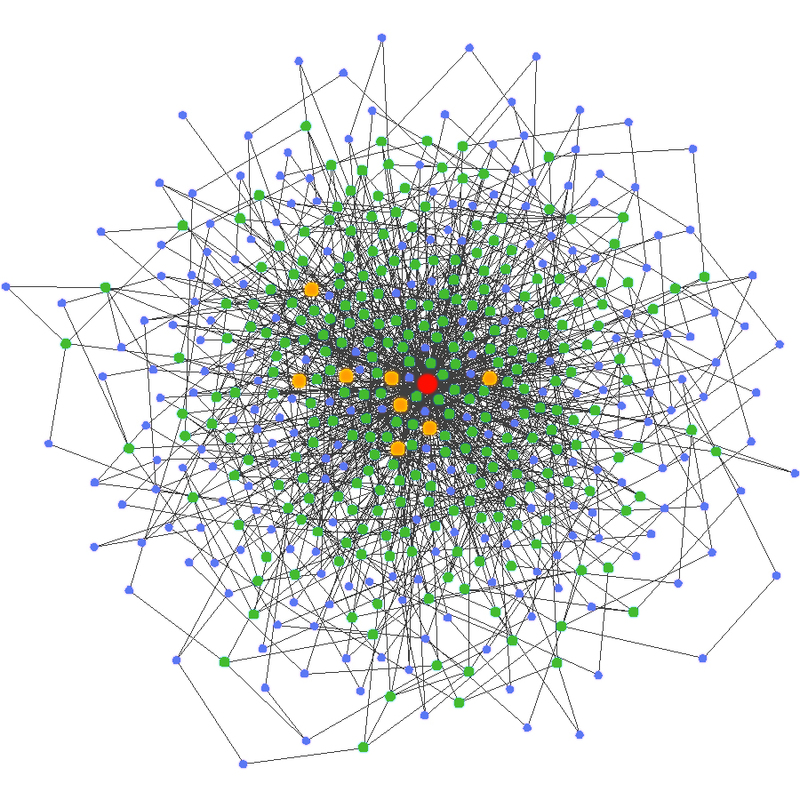 However, there has been another force in the market place, an invisible hand. That force has been quantitative easing. The Federal Reserve has been dumping trillions of fresh cash into the banking system, much of which has made its way into the stock market. 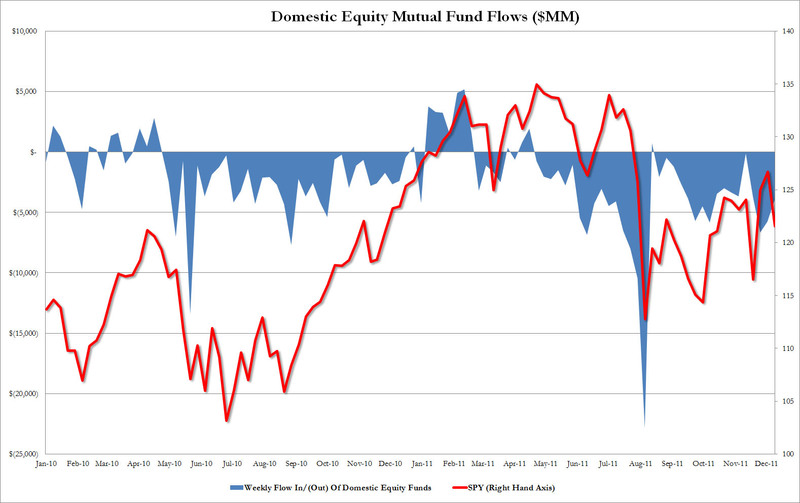 This has not only matched the mutual fund outflow, it has over powered it, sending the market up close to 100% higher from its lows in March of 2009. Investor sentiment today is still considered to be above the “bubble” level with P/E ratios at 22 to start 2012. US Corporate profit margins are sitting at close to record highs. This means as an investor in order to believe that the market is going to move higher, you have to believe that corporate profit margins are going to push continuously higher from their already sky high levels. You also must believe that P/E ratios simultaneously are going to move from bubble territory, back up to ultra bubble territory seen back in the early 2000’s. Could this happen? Absolutely. The Federal Reserve has made it clear they want stock prices artificially high. They are fighting the forces of gravity with every tool they can use. If you wish to bet that the stock market will move from over priced to very over priced that this is the time to enter. I do not like that bet. So, to answer the question you have been waiting ever so patiently for, where do I think the US stock market is going during 2012? 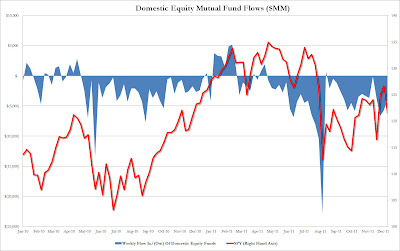 Based on the previous discussion on the stock market outlook for 2012, you may be thinking that based on the massive outflows from US stock mutual funds into US bond funds that for the first time ever the average investor has it right. After hundreds of years of being on the wrong side of the trade the story is going to finally end well for the general public. Once again, and it staggers my mind to watch it take place, middle class America has taken their life savings and placed it in the absolute most dangerous location possible. After the 2000 stock bubble burst, Americans took their money from stocks and placed it in the one place they knew it would be safe: real estate. Home prices had risen for essentially 55 years straight and most living Americans could not even remember reading about a time when prices fell. This meant that prices could not fall, and they bought homes and second homes to protect their retirement. Then we all know what happened in 2006. Real estate prices began to collapse. Investors, learning their lesson from the 2000 and 2008 stock market crashes knew that their money is not safe there. They also now knew that they could not trust real estate. They then now put their money in the last location they knew was safe: the bond market. Bonds have been rising in price continuously, year after year, for over 30 years. The average living American cannot remember a time when bond prices fell. Almost any financial advisor, who the average American pays to protect their future, cannot remember a time when bond prices fell. If an investor were to purchase a 10 year government bond today at 1.88% and the interest rates next year were to rise to just 4% (still way below the historical interest rate) then the investor would lose 50% of the money invested. A topic I will continue to review through 2012 (and I hope you now understand its importance) is that the United States government is bankrupt. 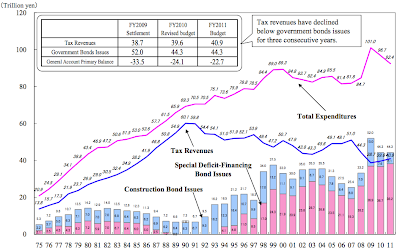 The balance sheet is toxic, and the government bonds should be rated junk, not AAA. Does that seem ridiculous? Remember that the entire global financial system, the investment managers and traders who take home millions based on their "understanding" of risk models, bet everything they had with leverage on an investment called US subprime mortgages back in 2006. The rating on subprime bonds that year just hours before they collapsed? AAA. Can prices move higher from here? Absolutely. During 1997, many of the greatest investors in the world took massive short positions on internet stocks that held sky high valuations. The stocks then soared higher for close to 4 more years, moving from bubble price territory to beyond extreme bubble priced territory. Many of the investors taking losses on their positions gave up and began to purchase internet stocks at the peak. An old saying goes that the market has the ability to stay irrational longer than you can stay solvent. With that said, I do not believe that the US government debt bubble will burst this year. I think the European crisis and the coming crisis that is about to wash over the shores of Japan and the UK will keep investors (incorrectly) positioned in US treasuries and keep interest rates at their ridiculously low levels. Does that mean that I want to keep my money parked there? Absolutely not. If I know that a bomb is going to go off in a building but I don’t know when, I don’t want to hang out in the building because it (probably) won’t go off for another year, especially when the return on your investment for taking the massive risk is almost zero. So with all this turmoil in around the world, where can an investor find safety?